Summer is winding down, but there are plenty of great foodie events happening this month. From pop-ups to full dinners with wine pairings to educational foodie events, there is something to speak to your inner foodie. From 5-11pm. Join them for live music, birthday cake, giveaways and the opportunity to win dinner for a year, plus enjoy dishes created by the chef for the event. Visit the event’s Facebook page for more info. Enjoy four 5 oz. organic beers perfectly paired with four local handcrafted desserts at this vegan-friendly event. Visit the event’s ticket page for more info. This class will teach the basics of grocery shopping, like how to read food labels, and shopping on a budget. Free to all, not just YMCA members. Read our story for more information. Enjoy a five course wine & champagne paired dinner featuring a special menu highlighted with caviar and wines. Proceeds benefit the benefit Cystic Fibrosis Foundation. Only ten seats per night, so visit the event’s ticket page to reserve. Enjoy 3 nights and one afternoon of exclusive tastings to kick off the vegan eatery’s new location. Visit the event’s Facebook page for more info. Celebrate National Ice Cream Sandwich day, as Deli Fresh Threads teams up with Kelly’s Homemade Ice Cream and Orlandough. This #SandwichEatUp is a little different since these ice cream doughnut sandwiches are pre-sale only. Visit the event’s Facebook page for more info. Mingle amongst local artists from Orlando’s bustling art scene while sipping your favorite wine and enjoying an abundance of delicious local food trucks. Visit the event’s Facebook page for more info. Framework Craft Coffee House is celebrating 3 years of pop-up shops with food and coffee pairings as well as specials. Visit the event’s Facebook page for more info. From 8pm. The Truck Stop is a food truck inspired kitchen, and they’ll be having live music, food specials, and more. Visit the event’s Facebook page for more info. The culinary team wlll demonstrate how to make three classic Paddlefish desserts: Key Lime Pie; Creme Brulee; and Cheesecake. Includes Non-alcoholic beverages + 1 after dinner drink. Visit the event’s ticket page for more info. Participating Main Street restaurant members are offering a select prix fixe menu with established price points of $5, $10, $20 and $30, depending upon lunch or dinner and the restaurant’s normal price point. To see the full list of participating restaurants, including their prix fixe menus, visit orlandomainstreets.com. Enjoy wine and cheese tastings throughout the store from 6-8pm. Visit the event’s Facebook page for more info. This local brewery tap takeover will feature five Hourglass brews. Visit the event’s Facebook page for more info. The Donut Pop Up Shop will be in The Barrel Room from 6-9pm. Visit the event’s Facebook page for more info. From 5-8pm, Papa Llama is popping up at Swine & Sons and will serve a full menu of new and signature Peruvian recipes, including Anticucho, Ceviche, and so much more. First come, first served and while supplies last. Visit the event’s Facebook page for more info. Includes five-course dinner with wine pairings, live speaker and entertainment, and valet parking. Visit the event’s ticket page for more info. Enjoy a 5-course dinner paired with a selection of exquisite Tuscan wines from the award-winning Castello Banfi Vineyard Estate in Tuscany. Please call (407) 597-3675 to reserve your place. Visit the event’s Facebook page for more info. Enjoy a 4-course dinner paired with bourbons. Visit the event’s Facebook page for more info. Free entry to the festival. A variety of Indian food will be available for purchase. Visit the event’s Facebook page for more info. Serving up Southern comfort food vegan-style. Visit the event’s Facebook page for more info. For their 6-year anniversary, the brewery is offering six new collaborations, along with two special release anniversary stouts in bottles, and more. Also enjoy 7 Taps of Sourglass and select Hourglass beers in the new soon-to-be-open Sour and Wild Facility right next door. Visit the event’s Facebook page for more info. Learn how to infuse gin and bottle it. Visit the event’s Facebook page for more info. Enjoy antipasti towers, fried olives, mini rice balls and assorted flatbreads paired with hand selected sparkling wines from 2:30-4pm. Visit the event’s Facebook page for more info. This event features brews from over 20 Florida breweries, starting at 1pm. Visit the event’s Facebook page for more info. Come out to the market and taste Mac and Cheese from top local chefs and vote for your favorite. Portions of the proceeds will be going to the Lake Nona YMCA scholarship fund. Visit the event’s ticket page for more info. Chef Tara Vernau-Smith has whipped up a menu with a variety of empanadas and advanced sommelier Melissa J. McAvoy is picking the perfect set of wines to match. Visit the event’s Facebook page for more information or to purchase. Enjoy a six Course Dinner with wine pairing using Julia Child’s favorite recipes. Visit the event’s ticket page for more info, including a menu. Join 90.7 WMFE for a lively discussion on Central Florida food trends at 7pm at their studio (11510 E. Colonial Drive). A panel of experts will discuss the local food scene, help navigate the latest trends, and share their favorite recommendations. Visit the event’s ticket page for more info. Enjoy a six-course dinner from award-winning Chef Tello Luna paired with beers from 3 Daughters Brewing. Visit the event’s ticket page for more info. There will be cooking classes with celebrity chefs, yoga demos, tastings, and more. Visit the event’s ticket page for more info. Broaden your knowledge on gin, the spirit often referred to as the first flavored vodka. Connect with their chefs on what foods pair best with gins based on the botanicals infused into each gin recipe. Includes small dishes and featured beverages. Visit the event’s Facebook page for more info. A Celebration of Florida Craft Beer featuring 14 Florida Breweries and 28 Florida Craft Beers. No cover charge. Plus meet rep’s from each of the breweries. Visit the event’s Facebook page for more info. Enjoy an afternoon with exclusive wine tastings presented by the team at PRIMO, while learning everything you need to know about wines from the region of Piedmont in Italy. Visit the event’s Facebook page for more info. Bite into four gourmet tipsy cookies paired perfectly with four of Orlando Brewing organic brews (5oz sampler glasses) at this guided pairing. Visit the event’s ticket page for more info. The fifth in this year’s series of Ruth’s TasteMaker Dinners offers a five-course pairing dinner with Veuve Clicquot in August. The main course will feature a glass of Veuve Clicquot’s 2008 Vintage Champagne alongside Ruth’s signature Petite Filet topped with herbed truffle crust. 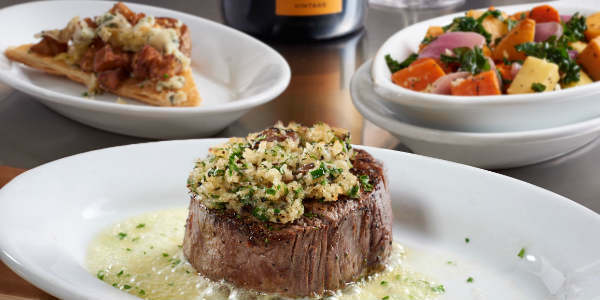 Visit RuthsChris.com for more information or to book. They will replicate the menu they served at the James Beard House in New York City last year. Visit the event’s ticket page for the menu and more information. More than 100 restaurants across the Orlando area will participate this year. Each participant will be offering a three-course, prix fixe dinner menu for just $35 per person, with one dollar from every meal served is donated to selected local charities. For a full list of participating restaurants, menus and to make reservations, visit OrlandoMagicalDining.com, or read our preview of this year’s event. Enjoy unlimited samples from 80+ Craft Beers & Cocktails, tons of Bacon & Bacon Dishes available for purchase, and more. Visit the event’s ticket page for more info. You are invited to join the Tasty Trio, three deliciously experienced food and wine experts Tonda Corrente, owner of La Femme du Fromage, Lisa Wilk, founder of Orlando Uncorked, and Jill Ramsier, co-owner of Quantum Leap Winery for a 4-Course Dinner journey where Wine, Cheese and Chocolate are featured in every course. Visit the event’s ticket page for more info. This annual event features seminars and workshops, fine dining events, appearances by top celebrity chefs, a free concert series, and bites and sips from 30+ regions around the globe. Park admission required. Visit Disneyworld.com for more info.